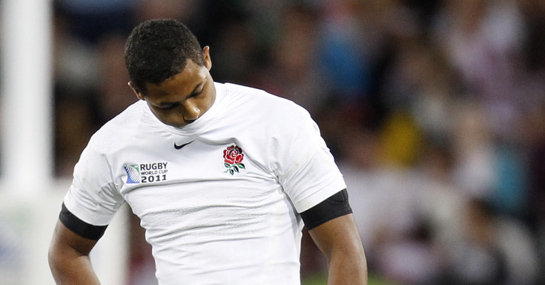 England winger Delon Armitage has admitted England will approach their final Pool B game against Scotland with caution – and they are right to do so. With Scotland losing against Argentina at the weekend, there are several permutations heading into the final game that could see any three of the teams qualify for the knockout stages or any of the three teams eliminated. Argentina are huge 1/100 favourites to make it to the last eight, with a bonus point win against Georgia in their final game guaranteeing them progression. England are out at 1/25 to make the quarters, while Scotland are 8/1 to qualify. Despite England being huge favourites against the Scots, Armitage says they will not be taking the threat posed by Andy Robinson’s side lightly. Speaking to the BBC, Armitage said: “They are dangerous but we are in the same situation. “Every year they come and try and turn us over. We will be ready for it. Armitage has every right to consider the Scots a threat as the recent clashes between these fierce rivals have been extremely close. England came through the last encounter in March 22-16, while their previous Six Nations encounter ended in a rare 15-15 draw. The four games prior to that ended with two wins apiece for the sides, showing England might not have things all their own way in Aukland this Saturday. Scotland could well be worth a punt at 4/1 to get an unlikely victory.